Originally published in Journal of Creation 15, no 2 (August 2001): 77-80. It is frequently implied that the theory of biological evolution is a modern idea—a product of our advanced scientific age. Conversely, a creationist worldview is often criticized as being a product of our less informed ancestors, and that this view is now a disproven relic of the past. One of the first evolutionary theories was proposed by Thales of Miletus (640–546 BC) in the province of Ionia on the coast near Greece. He was also evidently the first person to advance the idea that life first originated in water.3 Birdsell notes that Thales’ view of biological evolution ‘was not too far from modern truth’. One of Thales’ students, Anaximander (611–547 BC), developed these ideas further, concluding that humans evolved from fish or fishlike forms.4 These fish-men eventually cast off their scaly skin and moved to dry land where they have been ever since. Natural selection cannot create, but can only prune the less-perfect organisms, serving primarily to slow the rate of biological degeneration. 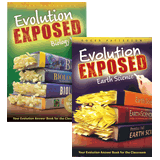 Nor is the paleontological record, as a putative evidence of evolution, a recent conclusion. The first person ‘known to have explicitly recognized fossils as memorials of geological change and the succession of life’ was evidently Xenophanes of Colophon.11 Some speculate that Thales and Anaximander also may have concluded that the fossil evidence supported biological and geological evolution. Modern theories of evolution: did Darwin contribute? Even Darwin’s commonly alleged major contribution to evolution, natural selection, was developed earlier by others including William Charles Wells in 1813, and later Alfred Russell Wallace. Wallace sent Darwin a copy of his paper describing his independently developed theory of evolution by natural selection in 1858.13 De Vries noted that some critics have concluded that Darwin actually made no major new contributions to this theory. One of the most important pre-Darwinists was Charles Darwins’ grandfather, Erasmus Darwin (1731–1802). He expounded his ideas at length in his book Zoonomia, published in 1794. This work was no obscure volume, but sold well and even was translated into German, French and Italian. Darlington argued that Erasmus Darwin ‘originated almost every important idea that has since appeared in evolutionary theory’, including natural selection.18 Darwin admitted that he probably got many of the major portions of his biological evolution theory from his grandfather. The popularity of the modern evolutionistic worldview is not, as many assume, because modern science has replaced old superstitions about origins. 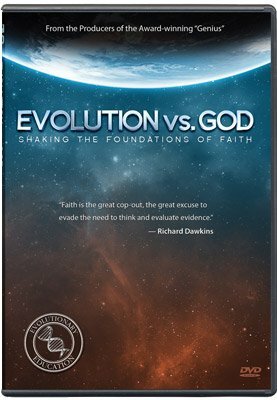 Evolution’s acceptance has much more to do with the use of the tools of science by multi-thousands of dedicated researchers, using the billions of dollars provided by governments to build a case for an ancient theory intended to support the atheism that now dominates both science and our increasingly secular society. This fact is important because the claim that Darwinism is a modern scientific idea is used as a major argument for its validity. I wish to thank Bert Thompson and John Woodmorappe for their valuable insight and feedback on an earlier draft of this paper. Encyclopaedia Britannica, The Werner Co., New York, Vol. 23, p. 467, 1898. Panati, C., Extraordinary Origins of Everyday Things, Harper and Row, New York, p. 3, 1987. Birdsell, J.B., Human Evolution, Rand McNally, Chicago, p. 22, 1972. Thompson, B., The History of Evolutionary Thought, Star Bible & Tract Corp., Fort Worth, p. 29, 1981. Thompson, Ref. 4, p. 31. Osborn, H.F., From the Greeks to Darwin, Charles Scribner’s Sons, New York, p. 52, 1929. Osborn, Ref. 6, p. 54. Osborn, Ref. 6, p. 4. Raup, D., Bad Genes or Bad Luck? W.W. Norton, New York, 1991. Bergman, J., The problem of extinction and natural selection, CRSQ 30(2):93–106, 1993. Glass, B., Owsel, T. and Straus, W., Forerunners of Darwin: 1745–1895, The Johns Hopkins Press, Baltimore, p. 6, 1959. De Vries, A., The Enigma of Darwin, Clio Medica 19(1–2):136–155, 1984; p. 145. Kenyan, A.K., Darwin’s ‘joint paper’, CEN Tech. J. 14(3):72–73, 2000. Quoted in, De Beer, G., Introduction in the 1969 reprint of: Chambers, R., Vestiges of the Natural History of Creation, p. 11, 1969. De Beer, Ref. 14, p. 12. De Beer, Ref. 14, p. 14. Macrone, M., Eureka! Barnes & Noble, New York, p. 150, 1994. Darlington, C.D., The Origin of Darwinism, Scientific American 200(5):62, 1959. King-Hele, D., Erasmus Darwin, Charles Scribner’s Sons, New York, p. 81, 1963. Darwin, E., Zoonomia; Or the Laws of Organic Life, J. Johnson, London, 1794. Reprint by AMS Press, New York, p. 505, 1974. Spelling and punctuation modernized by author, emphasis in original. King-Hele, Ref. 19, p. 82. Gould, S.J., Leonardo’s Mountain of Clams and the Diet of Worms, Harmony Books, p. 312, 1989. Crookshank, F.G., The Mongol in Our Midst, E.P. Dutton & Company, New York, p. 4, 1931. Huxley, A., A reappraisal of Charles Darwin, The American Scholar, footnote, p. 489, Autumn 1959. Macior, L., Introduction; in: Dodson, E.O. and Howe, G.F., Creation or Evolution, University of Ottawa Press, Ottawa, p. viii, 1990. Desmond, A., The Politics of Evolution, University of Chicago Press, Chicago, p. 1, 1992. Beebe, W., The Bird: Its Form and Function, Dover Publications, New York, p. 97, 1965.